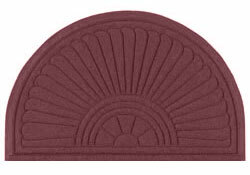 This commercial area rug in maroon is a durable doormat that protects flooring in the main part of a building or home. 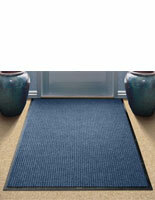 Buy this entrance carpet to protect new carpet or high-end flooring. 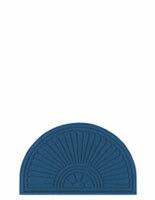 This area rug is constructed of polypropylene fibers that ensure the mat resists fading and rot. 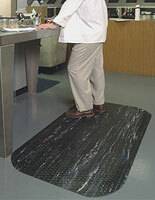 A rubber backing prevents slippage and leaks both in a professional office or in a residential home. 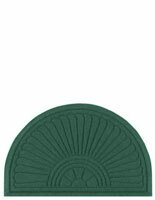 This rug features a dirt- and water-trapping raised-ridge construction that really works to protect surrounding areas. This system is easy to clean with a vacuum! 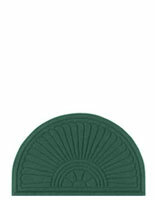 The carpet dries quickly to prevent mold and germs from forming. Please note: This rug is anti-static rated at 1.2KV by the AATCC and Certified Slip Resistant by the National Floor Safety Institute!